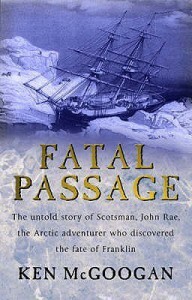 The true story of the remarkable John Rae - Arctic traveller and Hudson's Bay Company doctor - FATAL PASSAGE is a tale of imperial ambition and high adventure. In 1854 Rae solved the two great Arctic mysteries: the fate of the doomed Franklin expedition and the location of the last navigable link in the Northwest Passage. But Rae was to be denied the recognition he so richly deserved. On returning to London, he faced a campaign of denial and vilification led by two of the most powerful people in Victorian England: Lady Jane Franklin, the widow of the lost Sir John, and Charles Dickens, the most influential writer of the age. 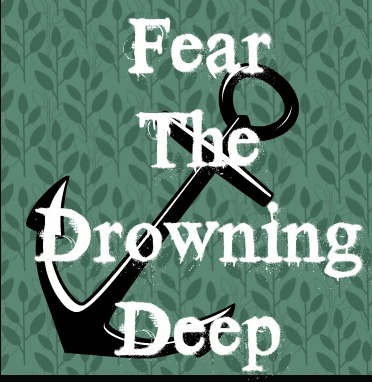 Fatal Passage will be my nomination for the Fear the Drowning Deep square. I have some travel coming up next week and needed a non-fiction book to read on the trip. For some reason, I prefer non-fiction when travelling.